I love it when brands create sets from their product range; it's a great (and often more affordable) way to be introduced to a new brand or to discover more products from a brand you've used before. Plus they tend to be presented in pretty boxes or bags, so they make fantastic gifts too. 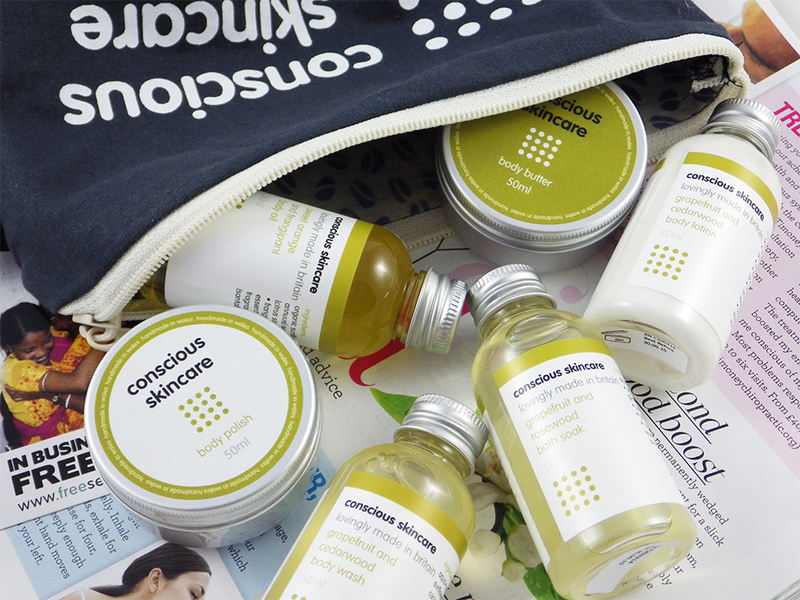 If you're a fan of natural, organic skincare or know someone that is, then the Conscious Skincare Indulgent Organic Mini Spa Set is a potential gift or treat to check out. My favourite scent is the Grapefruit and Cedarwood - I'm having a real moment with grapefruit right now and the mixture of zingy and woody scents works so well together! My favourite products would have to be the body polish, which contains fair-trade, organic sugar for a really invigorating scrub and the body oil, a dry oil that absorbs into the skin quickly and leaves my skin feeling beautifully soft and nourished. 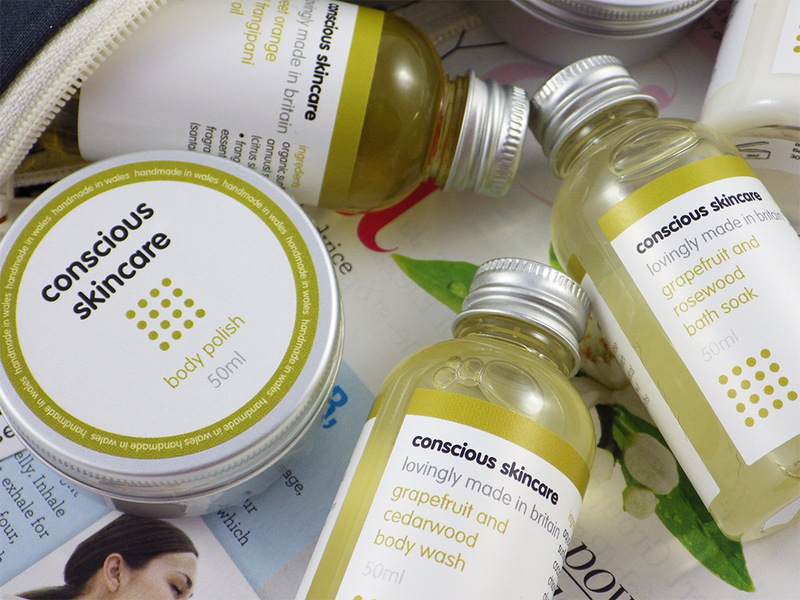 This set only costs £19.99, which I think is great value - you can purchase it online from Conscious Skincare direct here. 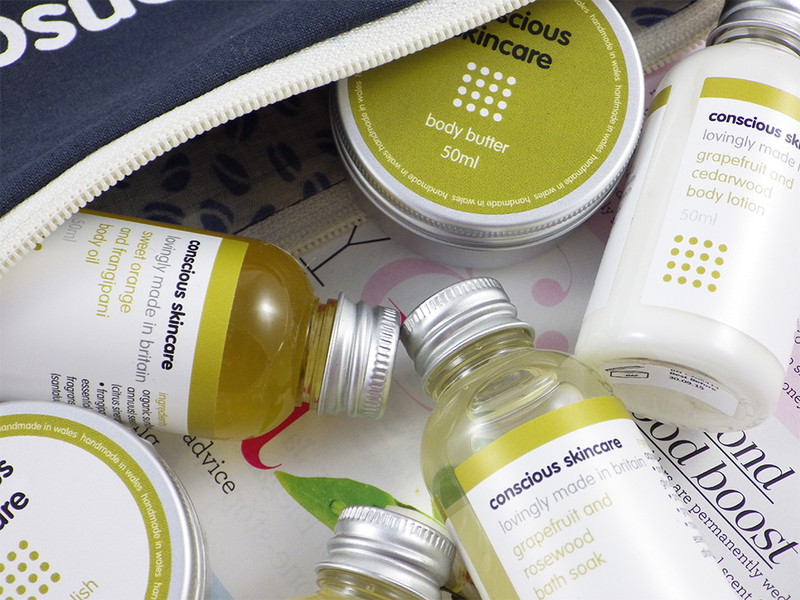 Conscious Skincare also produce facial skincare, handcare, cold pressed oils and have many other gift sets available, so I recommend checking out the rest of their range!